Why choose Physician's Vascular Services? Experience: Dr. Furlong has years of extensive experience in the diagnosis and treatment of venous disease. He is Certified by the American board of Radiology, and a Diplomat of the American Board of Venous and Lymphatic Medicine. He and his team are exceptionally qualified and ready to help get you back on the road to feeling good again. Technology: Physician's Vascular Services is dedicated to staying at the forefront of medical advances. This means that you will be treated with the latest technology to maximize your health impact and healing. Care: Dr. Furlong and his team take the time to listen to you and care for you every step of the way. From the moment you make your appointment to the time you head home you will be treated with respect and given exceptional care. 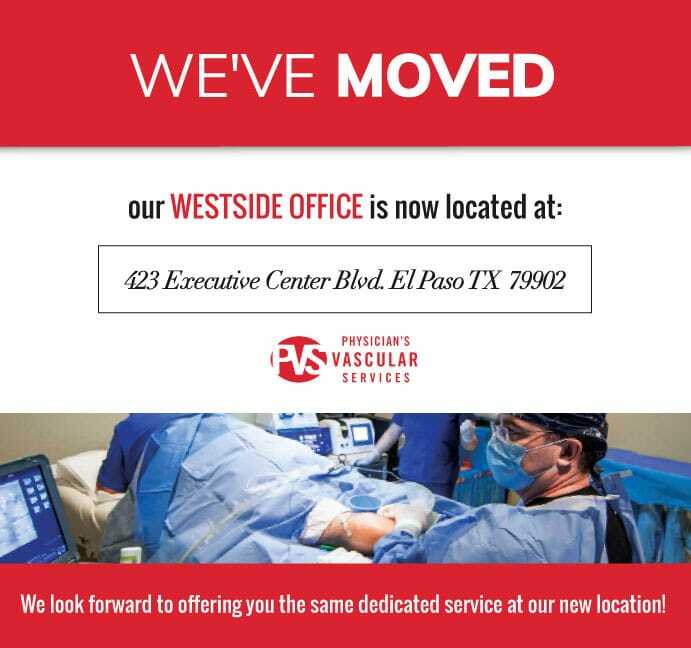 Convenience: With four offices throughout El Paso - Physician's Vascular Services is sure to have a location that is close to home. 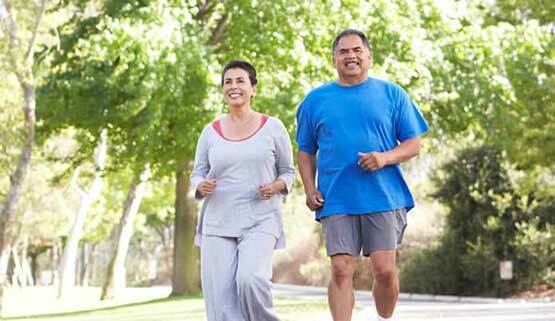 Don't let varicose veins slow you down. Take the first step to feeling great! The health of our legs directly affects the quality of our lives. How long have you been dealing with leg discomfort? Has the swelling, heaviness and itchiness associated with varicose veins been preventing you from enjoying the things that you love? Put an end to the discomfort. Stop hiding your legs. Dr. Joseph B. Furlong and his team of professionals at Physician’s Vascular Services are ready to put you on the "fast track" to better vascular health. Make your appointment to get a fast track vein health assessment. PVS offers patients the latest in technology and care. 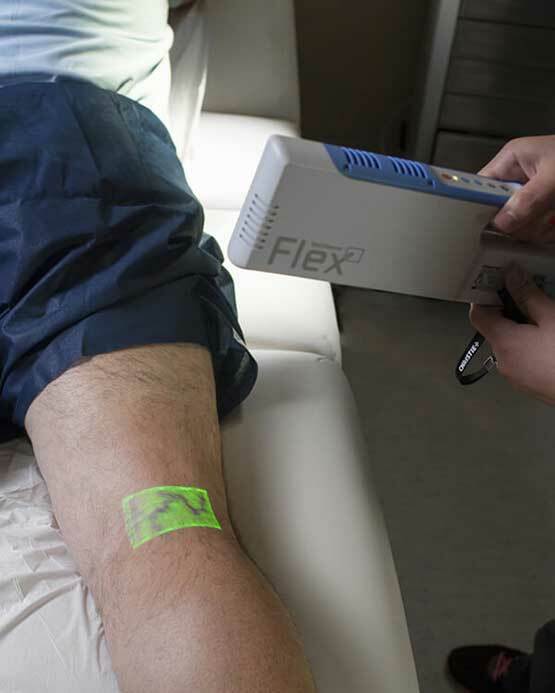 Unlike some other vascular clinics, our catheters are always brand new, and never refurbished. Imagine your legs looking and feeling better than they have in years. Imagine enjoying time with family, taking walks - even dancing. All you need to do is take that first step and call (915) 771-8346 today. Don't wait! Get back to the active lifestyle that you deserve. Dr. Furlong using the VeinViewer Flex light. This HD vein illumination unit allows the Dr. to instantly and painlessly view vein structure within the patient's legs.